Patricia Kusek (foreground) delivers GOP response to New Hanover County state of the County address by Beth Dawson. In the background are Woody White (left) and Jim Brumit (right). 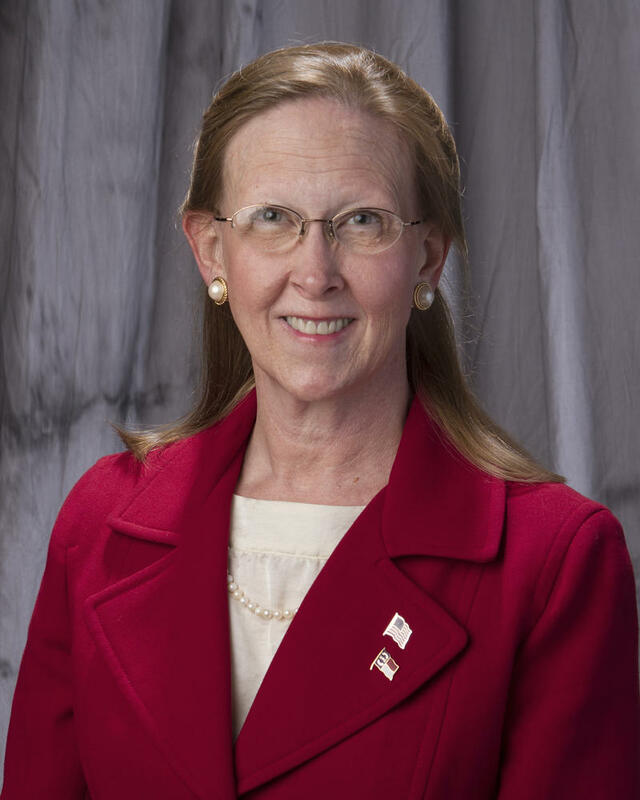 The video opens with Patricia Kusek, Chair of the Cape Fear Public Utility Authority’s Board, and a candidate for the County Board, criticizing Beth Dawson’s vote for Jonathan Barfield as Chairman last year and alleging Dawson made a deal with him to ensure her own chairmanship the following year. 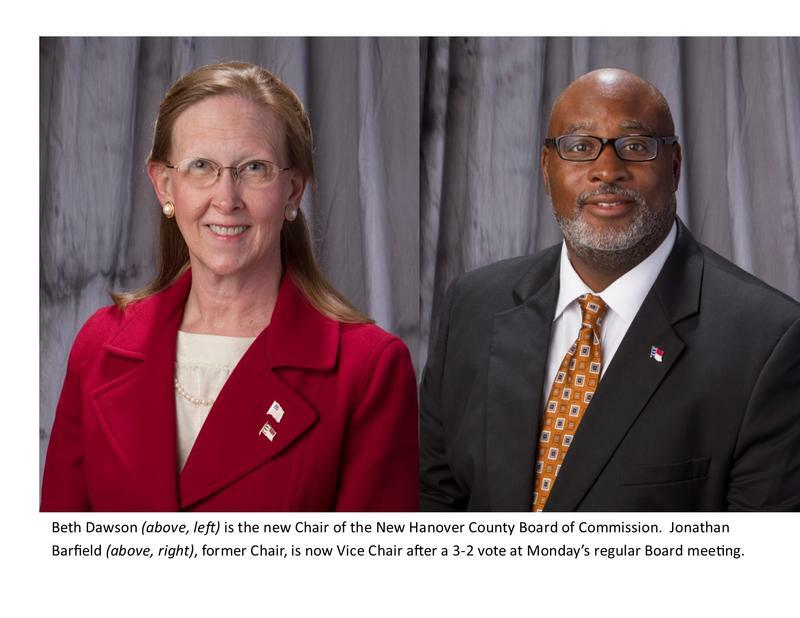 "Dawson maintained her support of Barfield and the Democrats with her support of a $6 million tax increase in the county when the Republican Board members demonstrated that was a tax increase that was just not needed. Again, a three-to-two vote with Dawson voting with the Democrats." Jim Brumit, also a candidate for the Board, criticizes Dawson over her vote for an increase in funding for childcare, which he calls an expansion of “welfare”. Woody White, who is seeking re-election this year, acknowledges that most of the issues confronting the Board are nonpartisan and involve decisions around planning, zoning, education, and law enforcement funding. "But when issues that define us as conservatives come up, as they always do, we must adhere to our principles. And Beth hasn’t done that." Campbell Dodd, Derrick Hickey, and John Babb are also in the race – bringing to seven the total number of Republicans seeking one of two open seats on the Commission this year. New Hanover County Commissioners have rejected a proposed limit on travel expenses for Board Members. At Monday's regular meeting, Commissioner Woody White suggested travel decisions be shaped by the answers to three questions. "Is the travel, whether it’s by a commissioner or particularly by employees or department heads and so forth, is it necessary for licensing and certification? Secondly, is the topic of the conference relevant to an issue we’re addressing?" 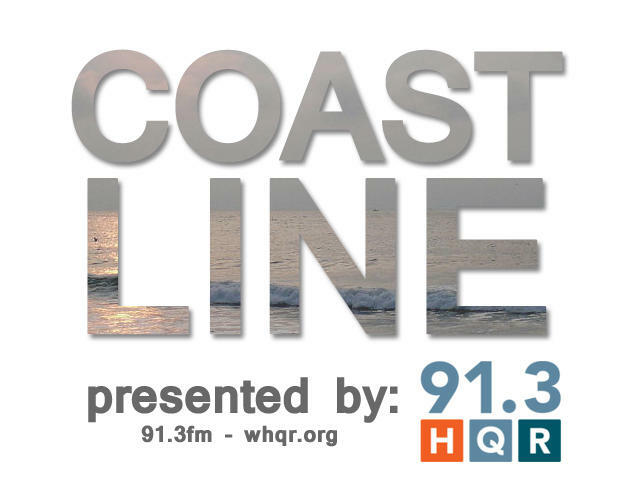 This broadcast of CoastLine originally aired on February 4, 2015. In less than one year, the Cape Fear region has witnessed the resignations of half a dozen high-profile members of the leadership at UNCW. Less than two weeks ago, the President of Cape Fear Community College, Ted Spring, suddenly announced his resignation. No reason has been given by either Spring or CFCC's Board of Trustees for the unexpected development.